Many parts of the plants, including the leaves and seeds, are edible, and are frequently used as a source of food in India and South America – where it is the most important Andean species of Amaranthus, known as kiwicha. (see also Amaranth seed and Andean ancient plants) This species, as with many other of the amaranths, is originally from the American tropics. The exact origin is unknown, as A. caudatus is believed to be a wild Amaranthus hybridus aggregate. 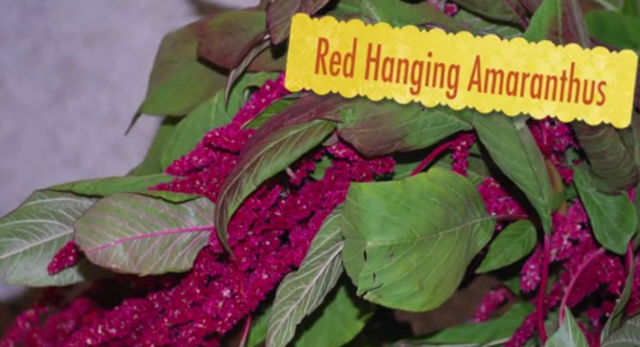 The red color of the inflorescences is due to a high content of betacyanins, as in the related species known as “Hopi red dye” amaranth. Ornamental garden varieties sold under the latter name are either Amaranthus cruentus or a hybrid between A. cruentus and A. powelli. In indigenous agriculture, A. cruentus is the Central American counterpart to South American A. caudatus. During the Victorian era, specific flowers had different meanings. Love-lies-bleeding stood for hopeless love or hopelessness in the Victorian language of flowers. This entry was posted in Uncategorized and tagged barn weddings, buy local, buy local sunflowers, floral supplies, floral supply, flower, flowers, fresh, fresh flower, Local, local flowers, local summer flowers, rustic, rustic wedding, summer, summer flower, sunflower, sunflowers, supplies, supply, wedding, wedding flower, wedding flowers, wedding supplies, wedding supply.